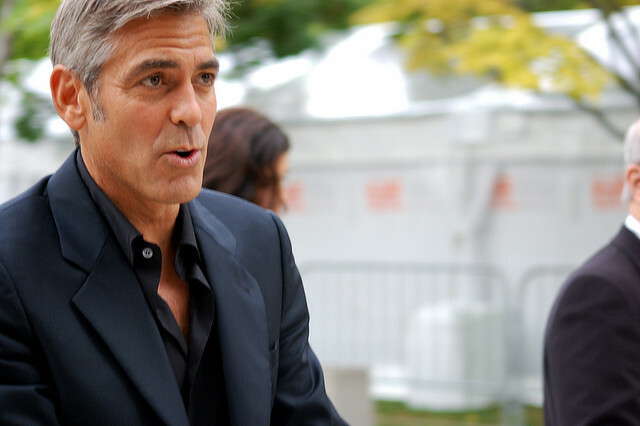 What Can George Clooney Teach You About First Impressions? George Clooney is, without a doubt, one of the world’s best-known actors. He’s been in many notable films and is often in the media limelight. Women adore him, and men want to be like him. He’s just as suave and confident off the screen as he is on it. Did you know that you could learn a few important lessons from him when it comes to first impressions? He might seem an unlikely role model, but there is one thing he is always good at doing. I am, of course, talking about offering a memorable and lasting impression. It doesn’t matter what you are trying to sell or who your “target” audience is. What does matter is that you’re as confident as you can be. It’s no secret that George Clooney comes across as someone that oozes confidence. Yes, he’s an actor. But, if you’ve watched his films, you’ll know how adept he is at dealing with new situations. Selling things is a little like being an actor. You have to play your part well to look and sound convincing enough to achieve your goals. You have to know your product/service just as well as George would know his lines. His job is to get a part in a new movie. Yours is to meet and get new clients – and ideally have them buy your products or services! To many people, George Clooney is an attractive man but what people also admire about him is his dress sense. Regardless of whether he’s “at work” or out in public, he’s always dressed to impress. Part of giving your clients the right first impression comes down to what you wear. If you turn up to a meeting looking scruffy, they will think you aren’t professional. What happens if you meet with clients, and you’re suited and booted, as it were? You’ll leave a positive lasting impression. You dress up when you go on a date. And you do the same when you’re going to an important function or venue. You’d also dress up if you were going to a job interview. Why should a client meeting be any different? Before you conclude your meeting with a client, it’s natural to give them one of your business cards. They too need to be impressive. For instance, make sure your contact details get written in a clear font. And don’t have your business cards printed on poor quality card stock. The design of your business cards is also important. You could use vibrant colors to make them eye-catching or have a custom logo made. Your business card is an extension of your brand. Keep the look and feel consistent with your website and other marketing material. People remember George because he’s such a good actor. Let your customers remember you because of your expertise in your industry. Previous Why Is No-One Buying From Your Online Store? Well presented!! You never get a second chance to make a first impression and a first impression can be the last one if not a good one. Great article! !